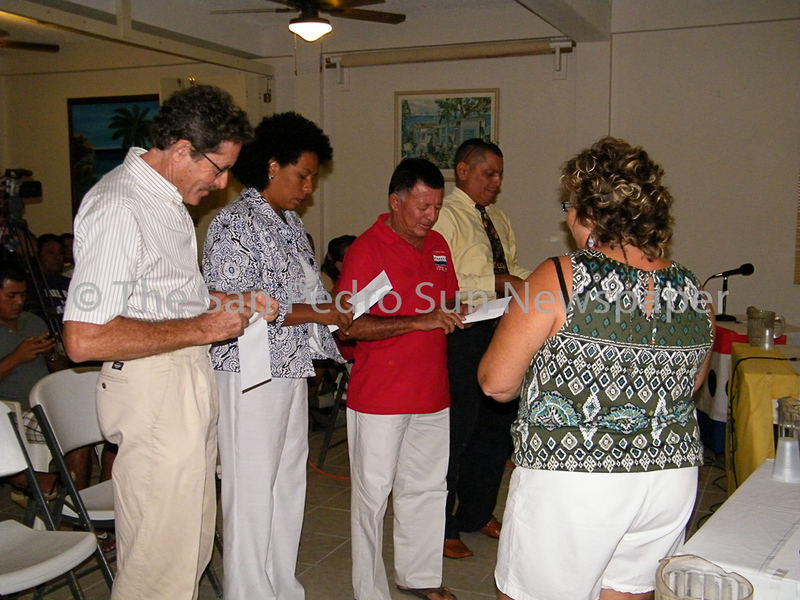 The Belize Rural South (BRS) Standard Bearers contesting the general election on March 7th squared off in the first ever BRS Standard Bearers’ debate, well attended by a crowd of close to one hundred guests. 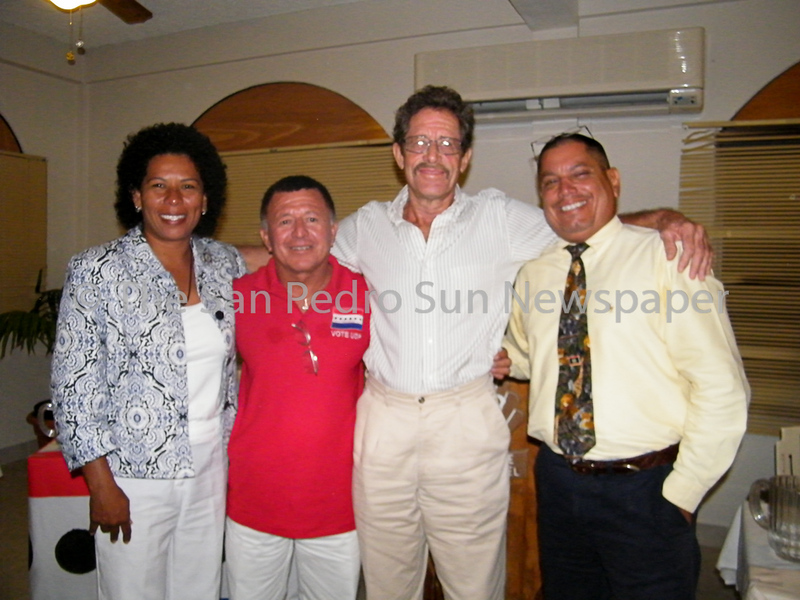 The debate was a joint effort between The San Pedro Sun Newspaper and The Reef Radio/Reef TV. 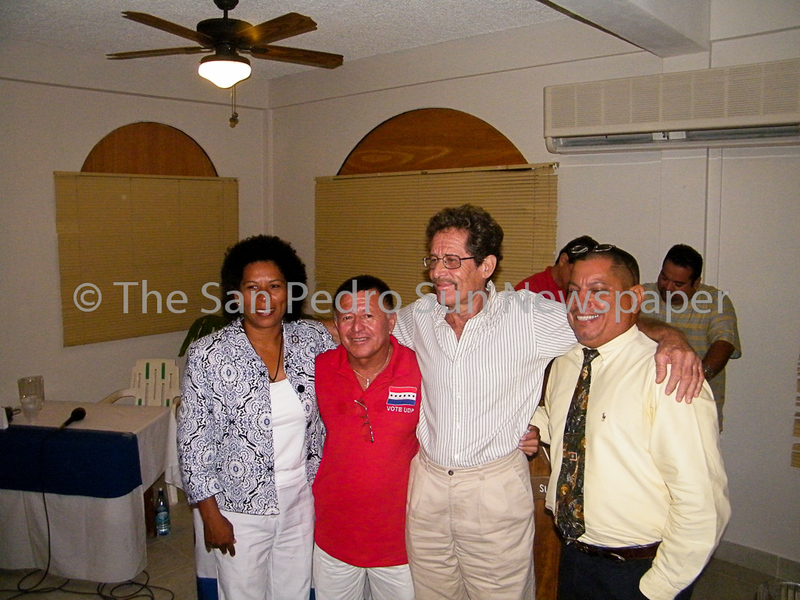 The BRS Standard Bearers, Manuel Heredia, for the United Democratic Party, Ana Patricia Arceo for the People’s United Party, Robert “Bobby” Lopez for the Vision Inspired by the People and William “Mike” Campbell, Independent candidate, were all given a chance to respond and give opening and closing remarks with equally allotted time. 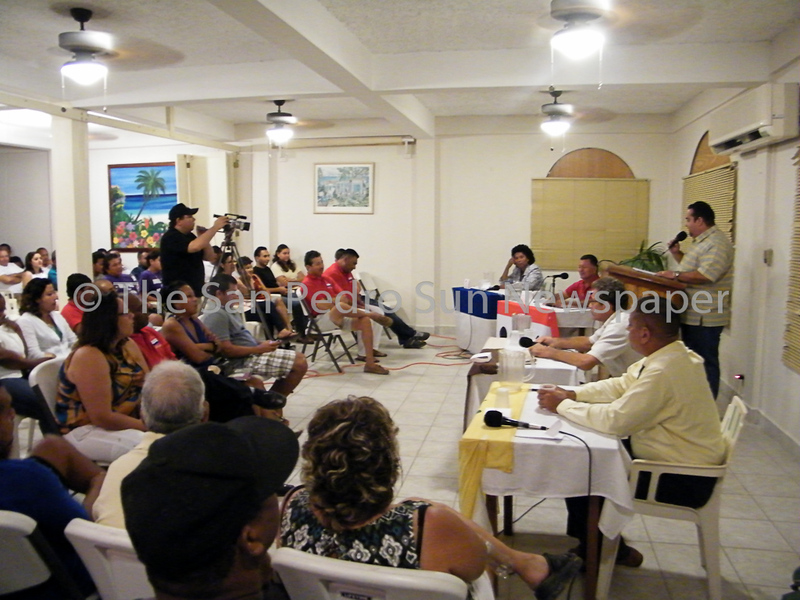 A total of ten questions were asked and answered, ranging from topics such as education, tourism, Caye Caulker, crime, subvention, San Mateo and corruption. 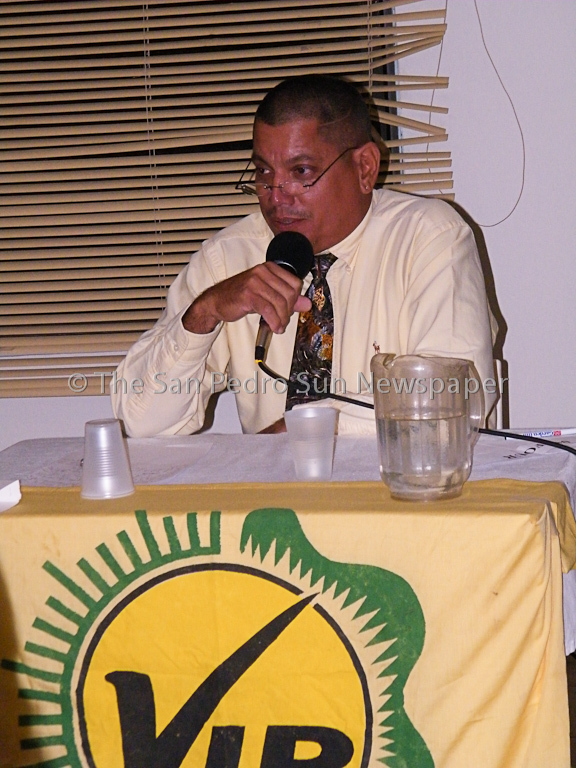 Some candidates were more successful in addressing the questions posed, while others did a good job avoiding the questions choosing instead to use the opportunity to present their party’s ‘successes’ and past accomplishments to the listeners. In the minds of many viewers whom we have spoken to, it is apparent that the candidates considered the underdogs in the elections, outshined the major party representatives. Patty Arceo, PUP Standard Bearer, compared PUP vs UDP, focusing on the work that she accomplished when she was in power 1998-2003 and her intentions to right the wrongs that have taken place since 2003 through 2012. She was very party specific, and certainly came across as beholden to her party. Some of her responses were non-committal. 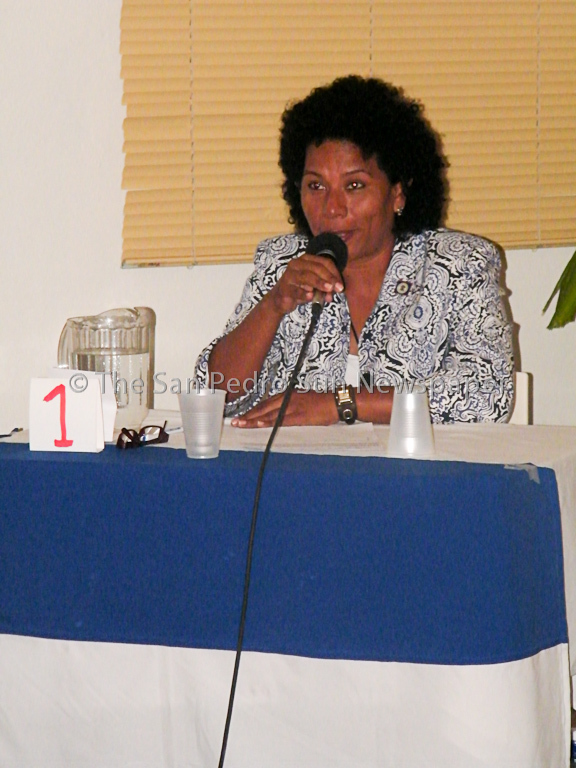 She did, however, make it a point to indicate what she believes should be done, and promised to do just that once elected on March 7, along with her “PUP Town Council”. 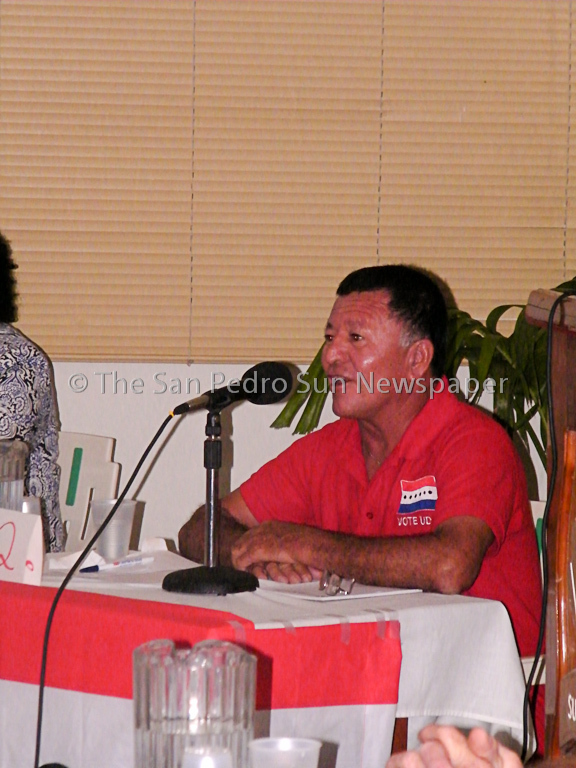 Manuel Heredia Jr., UDP Area Representative, defended his party, and being the incumbent was certainly on the defensive throughout the entire debate. He brushed aside the “idea” of corruption stating “whenever people don’t get what they want, they call it corruption.” He focused on being “The friend of the town”, “El Amigo del Pueblo”, choosing to ride on his accomplishments. He acknowledged the issue of San Mateo as being an issue of grave concern, and as something that he has plans for in the future. 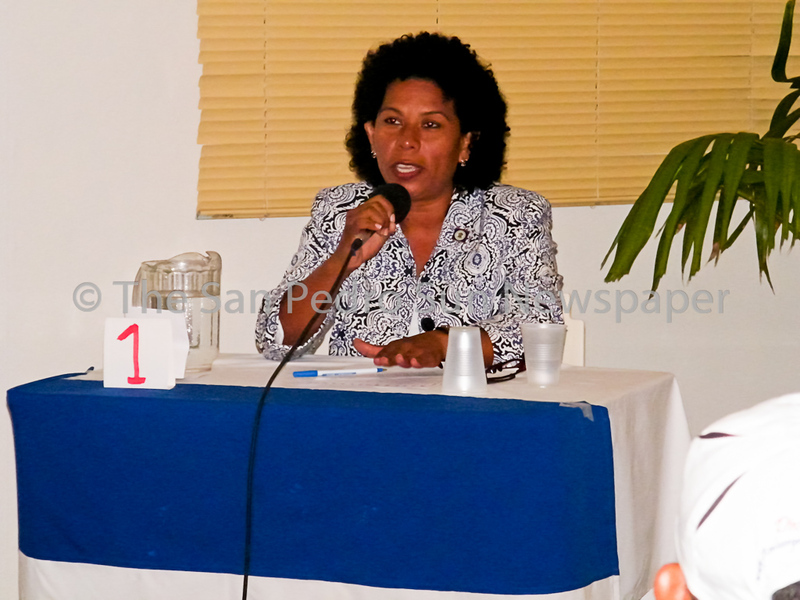 He also stated that in 2013, there should be bigger strides towards improving the island’s health facilities. He certainly pointed out that while we may want many things, improvements in infrastructure and more, the reality is that the government has to “work with the resources available”. 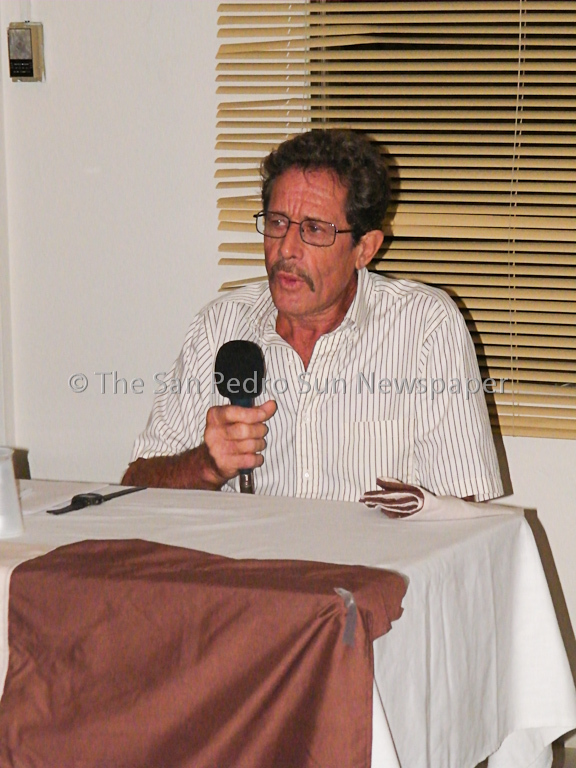 Mike Campbell, Independent candidate, reiterated his strong background in construction and development throughout the country and focused on the development and planning of certain areas of the island, or the lack thereof. 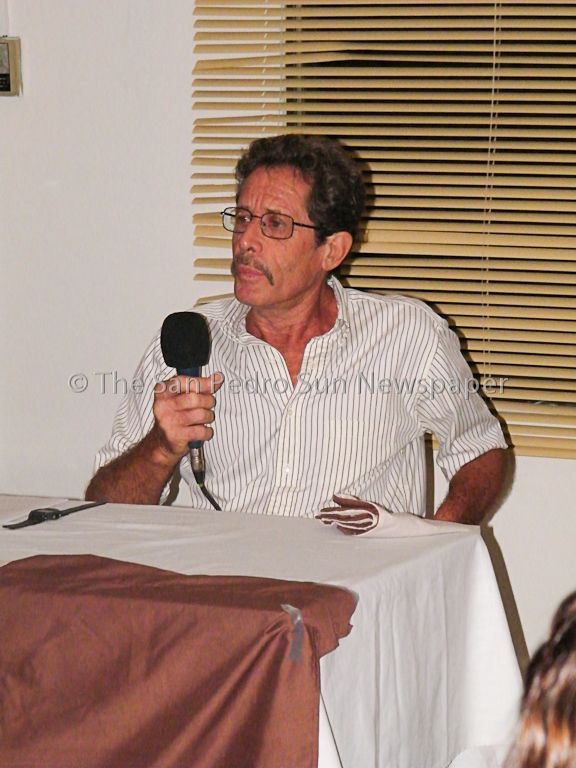 He also made a point to address other candidates’ choice to respond in Spanish, stating (in Spanish) that the official language of Belize is English. However, he invited anyone who wanted to hear his responses in Spanish to contact him wherever so he could explain himself in said language. When the question on Corruption came up, he defined the various types of corruption, including Nepotism, Crony-ism and Patronage, indicating that indeed, it takes place in our country and that anyone who says otherwise simply doesn’t know what corruption is or chooses to ignore it. 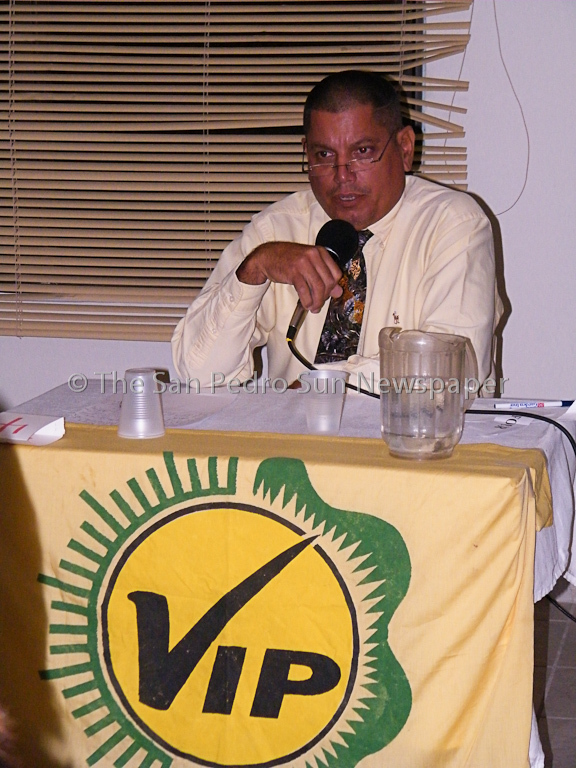 Robert “Bobby” Lopez, Candidate for the VIP, was seen, by many viewers, to have handled the questions the best, providing educated, well-researched answers, including facts, figures, dates and examples. He presented himself as a family oriented, educated, and self-made businessman and described how he began his business with $6,000 and he expects to retire shortly with a net worth of over $6,000,000. His use of the Mennonite example as a framework for success embodies what he stands for, which is dignity. The general consensus is that BRS, our constituency, is not getting its fair share, and not getting what it deserves. The suggestion of becoming the seventh district of the country was definitely a strong sentiment among most candidates. 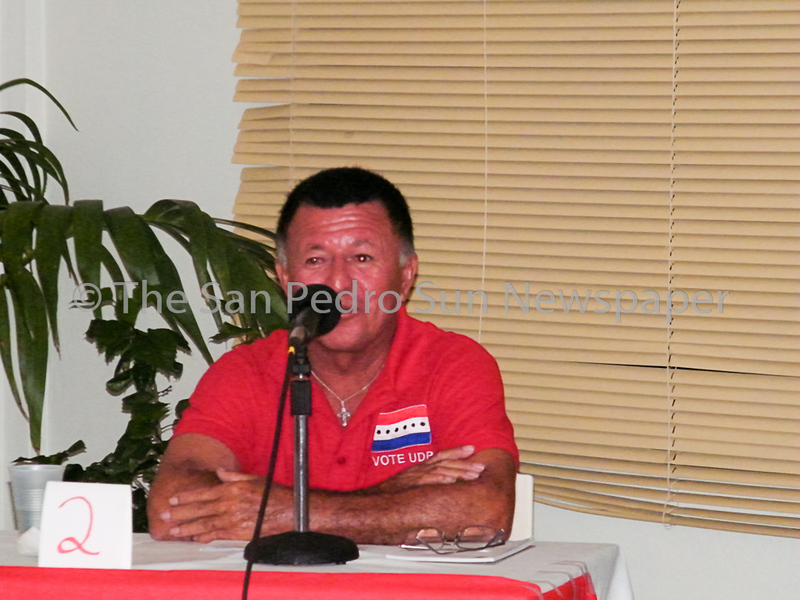 In the next few days, The San Pedro Sun will be posting a verbatim transcript of each question along with the answers given by each candidate and their rebuttals.